Our goal is to connect people with the best local experts. We scored medical malpractice lawyers on more than 25 variables across five categories, and analysed the results to give you a hand-picked list of the best medical malpractice lawyers in St. Louis, MO. Besserman Law is a St. Louis-area firm specializing in family law, personal injury, medical malpractice, property disputes, and will and trust. Founding attorney Deborah Besserman has more than 26 years of legal experience. She personally handles every case and is renowned for excellence in trial advocacy. Based in St. Louis, Buchanan Williams Attorneys at Law specializes in personal injury, wrongful death, medical malpractice, auto accidents, workplace injuries, family law, and criminal law. This firm has more than 30 years of experience and collects a fee only when clients win cases. They have an AV Preeminent rating from Martindale-Hubbell, are ranked among the 10 Best in Client Satisfaction by the American Institute of Personal Injury Attorneys, and designated among the top attorneys in the nation by Super Lawyers. Located in St. Louis, Burger Law Trial Attorneys specialize in personal injury, medical malpractice, car and truck accidents, workers compensation, and related claims. They have recovered more than $50 million for their clients and are affiliated with the Multi-Million Dollar Advocates Forum. Burger Law Trial Attorneys has an A+ rating with the Better Business Bureau, an AV-Preeminent Peer Review rating from Martindale-Hubbell, ranking among the nation's top attorneys by Super Lawyers, and named among the Top 40 Under 40 by National Trial Lawyers. Casey & Devoti is a personal injury law firm in St. Louis, specializing in auto accidents, product liability, medical malpractice, slip and fall, birth injuries, wrongful death, and related areas. This firm's attorneys are affiliated with the Missouri Bar Association, Missouri Association of Trial Attorneys, American Association for Justice, and the Injury Board. They have an AV-Preeminent Peer Rating from Martindale-Hubbell and are ranked among the nation's top attorneys by Super Lawyers. Donna Clarke Frayne is a personal injury attorney located in St. Louis, offering client-centered representation in practice areas including medical malpractice, wrongful death, product liability, nursing home abuse, and related specialties. Frayne, who has practiced law since 1992, has a reputation among clients as down-to-earth and approachable. She is a graduate of St. Louis University School of Law. Gallagher Davis LLP is a St. Louis law firm specializing in the practice areas of medical malpractice, auto accidents, product liability, wrongful death, ERISA, premises liability, and insurance. They have a Martindale-Hubbell Peer Review Rating of AV, the highest possible designation for legal ability and ethical standards. This firm offers personalized attention, integrity, experience, and expertise. Located in St. Louis, Hullverson Law Firm has been advocating for personal injury victims throughout Illinois and Missouri for more than 90 years. Practice areas include auto accidents, medical malpractice, birth injuries, workers' compensation, and related specialties. This firm is affiliated with the Million Dollar Advocates Forum and has been recognized by Best Lawyers in America, U.S. News and World Report's Best Law Firms, and the Top 100 Trial Lawyers by National Trial Lawyers. Kamykowski, Gavin, and Smith PC is a St. Louis law firm practicing in the areas of medical malpractice, professional regulatory board investigations, professional liability, insurance coverage, premises and retail liability, and products liability. The attorneys in this firm are affiliated with the Claims and Litigation Management Alliance, Defense Research Institute, Professional Liability Underwriting Society, and the Missouri Association of Defense Lawyers. They have been ranked among the nation's top attorneys by Super Lawyers. McChesney and Ortwerth is a personal injury and medical malpractice law firm based in St. Louis. 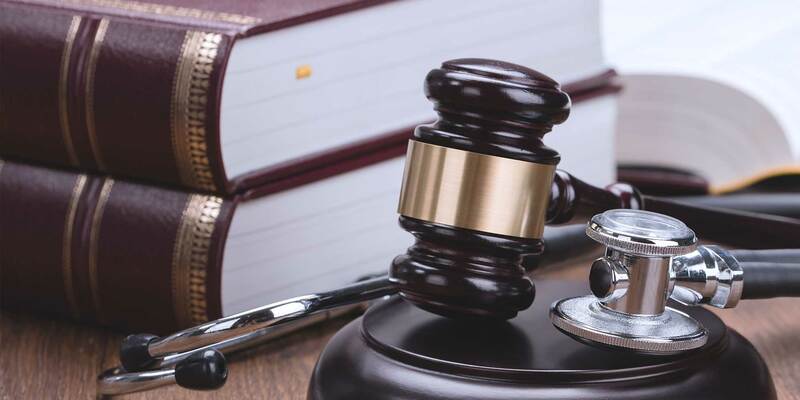 Practice areas include auto accidents, wrongful death, premises liability, dog bites, swimming pool accidents, nursing home abuse, spinal cord injuries, and related specialties as well as family law and divorce. Its attorneys are members of the Missouri Bar Association, the Missouri Association of Trial Attorneys, and the American Association for Justice. Located in St. Louis, Mogab and Hughes has represented clients in personal injury, medical malpractice, disability, and related cases since 1963, recovering more than $300 million in verdicts and settlements. The firm's attorneys have more than 150 years of combined experience and are ranked among the best in their practice areas by Super Lawyers and Martindale-Hubbell. Mogab and Hughes is affiliated with the American Association for Justice and the Missouri Association of Trial Attorneys. Newman Bronson & Wallace is a St. Louis law firm specializing in personal injury. Practice areas include medical malpractice, asbestos exposure, automobile accidents, spinal cord injuries, workers compensation, and related specialties. This firm has been ranked among the top lawyers in the nation by Super Lawyers and has an AV-Preeminent peer rating from Martindale-Hubble. Newman Bronson & Wallace is affiliated with the National Board of Trial Advocacy and the American Bar Association. Based in St. Louis, Ochs Klein Attorneys PC has recovered millions of dollars for clients with personal injury, medical malpractice, workers compensation, and related claims. They have an AV-Preeminent Peer Rating from Martindale-Hubbell and have more than 50 years of combined experience. Ochs Klein is affiliated with the Missouri Bar Association, American Association for Justice, Missouri Association of Trial Attorneys (MATA), and the MATA Hall of Fame. Based in St. Louis, Rosenblum Schwartz & Fry is a criminal defense and personal injury firm that has tried more than 400 cases in a range of practice areas. This firm has been recognized by Super Lawyers, The Best Lawyers in America, Best Lawyers, and Top 100 Trial Lawyers. They are affiliated with the American College of Trial Lawyers and have an AV-Preeminent peer review rating from Martindale-Hubbell. Serving the St. Louis metro area, The Glassman Law Firm, PC is a personal injury firm specializing in medical malpractice, brain and spinal cord injuries, auto accidents, dog bites, dangerous premises, and related areas. Founding attorney Stephen M. Glassman has a Peer Review Rating of AV Preeminent from Martindale-Hubbell and is ranked among the top 5% of personal injury attorneys by Super Lawyers. He is a member the American Association for Justice, the Missouri Association of Trial Attorneys, the Lawyers Association of St. Louis, and the Association of Interstate Plaintiff Trucking Lawyers of America. The Gogel Law Firm in St. Louis provides free initial consultations for personal injury, medical malpractice, workers compensation, and related practice areas. This firm has a customer rating of 4.9 out of 5 stars on Google, with clients praising Jeremy A. Gogel's excellent service, responsiveness, professionalism, and reasonable rates. Serving the St. Louis area, the Sumner Law Group LLC provides personal injury representation throughout Missouri and Illinois. This firm is affiliated with the Multi-Million Dollar Advocates Forum, the Missouri Association of Trial Attorneys, American Association of Justice, Missouri Bar, and Illinois Bar. They have earned an A+ consumer rating with the Better Business Bureau. Weilmuenster & Keck, PC is a St. Louis-area law firm specializing in personal injury, medical malpractice, federal court litigation, business litigation, employment law, and municipal and public labor law. Its attorneys have recovered more than $85 million for their clients and are ranked among the top 5% of national attorneys in their practice area by Super Lawyers. Free consultations are available. Based in St. Louis, Wolfgram Law specializes in personal injury, including medical malpractice, burns, auto accidents, workers' compensation, and related areas. This firm was founded in 1997 and represents clients throughout Missouri and Illinois. Founding attorney Kurt Wolfgram is a graduate of Drake Law School and a member of the Missouri Bar Association.